PMTS.org • View topic - Good FIS ski? Your hip isn't close to the snow in that frame and the tip is barely pulling across the hill, so you aren't bending the heck out of it there. When you bend the heck out of a ski it will stall. I'm not trying to prove anything, but thats nowhere near as low as I can go...its just a great angle showing some significant ski-bending. I appreciate the challenge though, PMTS is about objectivity and we all need a check-up sometimes! We need a new adjectives for you Heluva. I offer Heluva-bend. I have also been considering getting a FIS SL ski some time in the next year or two. Is there a significant downside in an intermediate level PMTS skier using an FIS SL ski? I know it may not be as fun/enjoyable as a Dynastar Speedzone or an iSL, but other than wasting money on a ski that isn't used much, is there a significant downside to getting one? Is it likely to promote bad technique, assuming the skier has reasonably developed essentials? (I'm not talking hip to the snow in every turn, but rather someone who, for instance, is around an advanced green or early blue level instructor.) If it is likely to promote bad technique, would you mind explaining why? I think I can answer Erik. If you can't bend a ski, you have to push on it. So a ski that a skier cant bend is very likely to promote bad technique. RDs are made to hold an edge when going race speeds on firm surfaces. Because of this they may feel stable in other situations for which they were not designed. For example, using a SL RD to make very fast GS/SG sized turns on a typical groomer. Making GS/SG sized arcs on a SL ski is not a benefit and won't do anything do improve my skiing. I've owned a variety of SL and GS RD skis over the years and I still have a few in the stable. I keep them in case one of my friends is able to convince me to get in gates again. I haven't used any of them in years because everything I ski is easier when I'm using my non-RD skis, with my favorite carver being the SLX. Nothing I ski today is easier with an RD but I like to bend my skis so I get plenty of performance with each turn. The amount of mental and physical effort it takes to make an RD come to life is very tiring. Somewhere between 4 and 8 runs on an RD ski and I'm pretty much done making good turns for the day. If I make a mistake when cranking turns on an RD I will likely crash. The last time that happened I ended up getting thrown into the trees (see the Heluvarelease video for an example of what that looks like). RD skis are for going faster. When carving a steep groomer are you trying to go faster or slower? In a nutshell, the primary difference then with FIS level skis is the stiffer flex. Stiffer flex means more speed/pressure required to bend them. 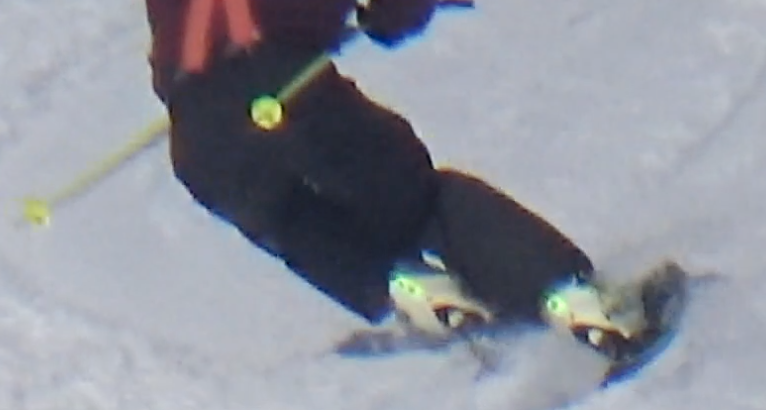 My experience has also been that a stiffer ski is much less forgiving for being out of position. And being out of position can result in riding a "bucking bronco" if you've loaded up the ski and aren't ready to take that power into the next phase of the turn. This could of course result in injury in the worst case situations. So lots of negatives have been noted. Are there any positives for the recreational use of a FIS ski (outside of the course)? HighAngles wrote: Are there any positives for the recreational use of a FIS ski (outside of the course)? I can think of two cases where an RD would be a positive outside of course. Both assume the skier has a solid command of the Essentials, can put their hip close to the snow at will, and that they are skiing a race derived consumer carver (Head iSL, Elan SLX, etc). 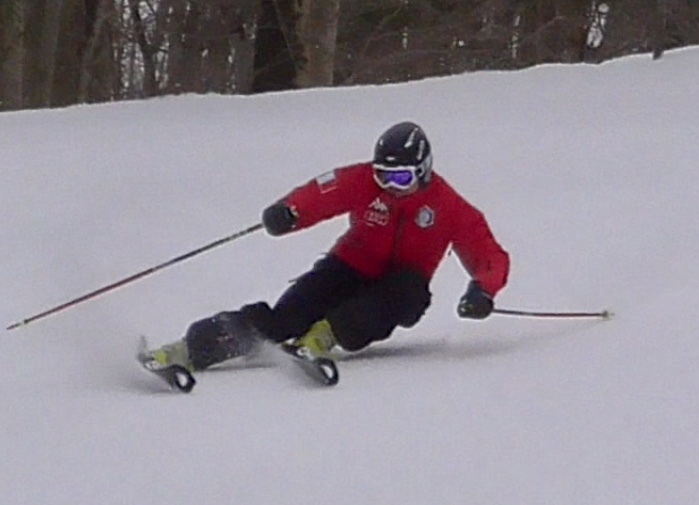 1) The ski is bending too much (stalling) because I need a stiffer flex for the Gs I am pulling. 2) The ski won't hold an edge on ice because I need more torsional rigidity. Context - Skiing an Elan SLX I rarely have issue #1 and have never experienced issue #2. Thanks, that lays it out clearly. I have the Elan SL from 2012 and it's plenty stiff for me. I do have a pair of Stockli FIS SL skis, but they rarely go out because they scare the heck out of me. In fact, I just remembered that I have a backup pair (undrilled, brand new) that I doubt I will ever do anything with. So noobSkier, if you're still thinking FIS SL at this point, PM me if you're interested in a Stockli FIS SL.